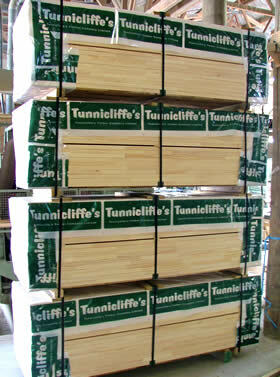 Tunnicliffe's are suppliers of quality fingerjointed radiata pine components to door manufacturers and pre-hangers. Products range from door core to interior door jambs in all shapes and sizes. Some of our standard Interior Door products are listed below. Tunnicliffe's specialises in a flexible and prompt service – even if your product is not in stock we can usually have it ready for dispatch within 5 working days. This list does not show the multitude of custom products we produce for a variety of customers. If you are looking for something specific to machine or you have particular requirements with regard to a standard product talk to us… we’re keen to help.